Starting September 23rd, RWJ New Brunswick and Somerset will be implementing an enhanced human resources employee information technology system and a new time keeping system. 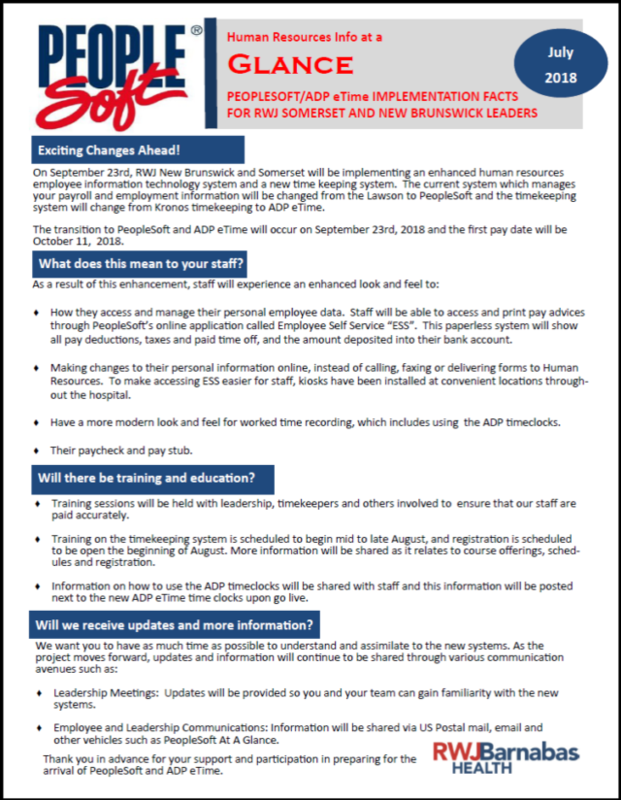 The current system which manages your payroll and employment information will be changed from the Lawson to PeopleSoft and the timekeeping system will change from Kronos timekeeping to ADP eTime. Get the latest news and alerts. USW 4-200 in your feed.